PC Printer Repair, Dallas Home PC Service, Software Deployment, Oak Cliff Dallas Computer Hardware Repair, Computer General Networking, Dell PC Repair Service in Oak Cliff Dallas, TX, Microsoft, Dallas PC Printer Repair, Avg Virus, PC Support in Dallas, TX, Virus Software, Microsoft Windows Vista, PC PC Repair in Oak Cliff Dallas, Texas, Hardware, Computer Repair And Service, Dallas Network Repair Company, and Computer Consulting in Dallas, TX. Are you having difficulties deciding which Windows Vista version to get? There's a 32-bit version, a 64-bit version, and there's also Basic, Premium, Business, and Enterprise packages. We travel all over the greater DFW Metroplex fixing and maintaining Microsoft Windows computers 24/7 so you can be assured we will be there for you when you or your computers need us most. Considered the entry-level option, this can be thought of as a marketing equivalent to the former XP Home product. Basic is a full Vista operating system, with Internet Explorer 7, Windows Mail (formerly Outlook Express), and Media Player 11 enhancements. You can burn CDs (not DVDs), and run most software that is Vista compatible. 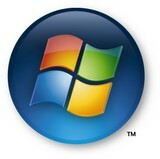 This version also includes added security in the form of Parental Controls and Microsoft Windows Vista. Incorporates of all Home Basic components and adds support for Tablet PCs, DVD authoring, burning and ripping tools, and features similar to XP’s Media Center Edition. An enhanced graphical interface option (Aero) is also included for PCs with compatible video hardware. Workplace oriented version, Vista Business supports connection to company network domains, more Tablet PC integration, multiple physical CPUs, and corporate-level system management options (such as remote desktop, image backups, file encryption, volume shadow, user profiles, etc.) and the Aero interface. It does not contain features of Home Premium, due to the business-focus, however this can be compared similarly to the former XP Professional edition. Corporate focused version, this edition is only available to corporations and authorized institutions through Microsoft via non-retail licensing programs. Functionally very similar to Vista Business, this edition adds drive encryption (Windows Bit-Locker), the option of using alternate languages, and license structure permitting multiple concurrent copies of Vista to operate using Virtual PC 2007. UNIX-based application support is provided via a UNIX emulation module subsystem. Considered the premium edition, Ultimate includes most of the features of all other Vista editions. Corporate supported, yet consumer (Media Center) enhanced, this edition can be thought of as the advanced/power-user edition, particularly on notebook/mobile systems which operate under multiple functional roles, although Microsoft positions this product as a consumer/retail edition. Plus, there are optional services and products (Ultimate Extras) available for this edition from a growing list of producers. If you have any questions about the various Microsoft Windows Vista licensing options for your company please Contact Us or give us a call at: (214) 685-0886.